Preschool should be all about exploration, which is why I'm a firm believer in encouraging children to express them selves creatively and giving them opportunities to explore art without boundaries. 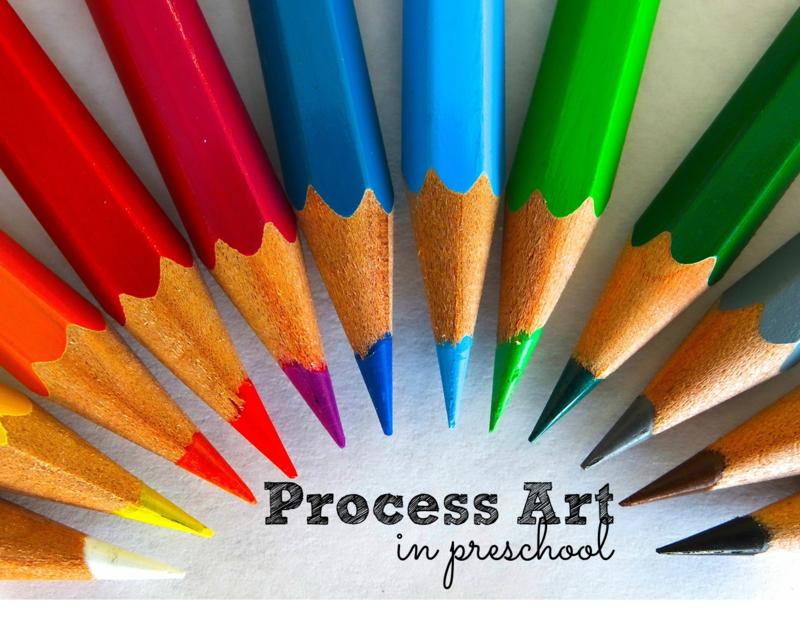 This is why I make every effort to promote process art in the preschool classroom. Process art places emphasis on the experience of creating the art. It encourages self expression and creativity, along with opportunity to explore new materials. The great thing about process art is that the final product is always unique. It also makes a teachers' job easier because each art experience requires less preparation. Including process art in the classroom doesn't mean that you have to give up class art projects, it simply means that children have freedom when participating in art projects. There are a couple of ways to encourage process art; you can introduce materials and give children open-ended opportunities to explore and create with the materials you have introduced, or you can give the children direction (such as "create a flower") and then let the children choose the materials that they want to create with. Here are some examples of process art that my students have created. In both cases, I selected the materials, and they chose how they wanted to use them. I love to display this artwork because it is so meaningful to each child. They love to share their art with each other because each piece tells a different story.